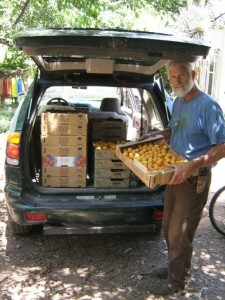 Greg Peterson’s Urban Farm U has just published my piece on Peter Bigfoot as “urban farming pioneer” on its blog, here. With due respect to Flannery, unfortunately this is just the kind of thinking that’s causing many of our problems. We don’t need to AVOID self-interest, we need to RETHINK our self-interest. We need to see that in reality our self-interest is consistent and in harmony with the good of the community, others, and the environment.